Can you imagine what life would be like if money were no object? You could spend like there’s no tomorrow and never face any consequences for it. That would be the life… or so it might seem at first. 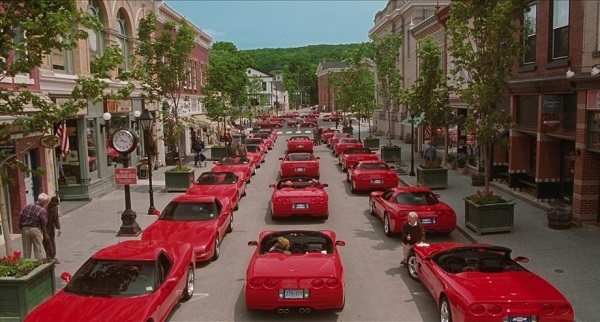 Several films have explored what might happen if people spent ungodly amounts of money. Let’s spend some time exploring their different takes on this seemingly simple concept and see if we can discover some similarities. 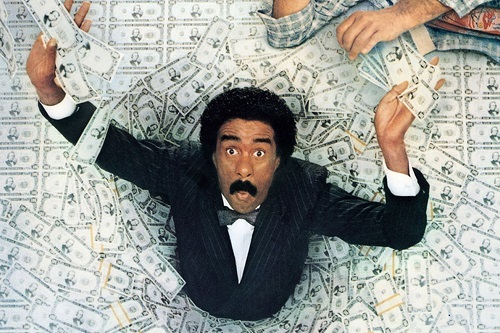 Of course, the first film that comes to mind when thinking of movies about spending ridiculous amounts of money is Brewster’s Millions. The 1985 film is a remake of many earlier versions of the story that date back almost to the birth of cinema. This idea of a down-on-his-luck man inheriting a vast fortune with the stipulation that he must spend a “small” amount of it up front before he’ll get the rest makes for a compelling and universal story. The film is an interesting morality tale. Brewster has to spend $30 million in 30 days, and he must have no assets at the end. What does he do? He throws lavish parties, rents expensive hotel rooms, redecorates them to his liking, rents tailored suits, and he enters the world of politics. He doesn’t mean to do any good with his money. In fact, he learns to hate money by the end of the 30 days. But along the way he accidentally has quite a positive impact on many people’s lives, and he learns a valuable lesson about the ability of money to corrupt people if used unwisely. The Money Pit is a strange film. 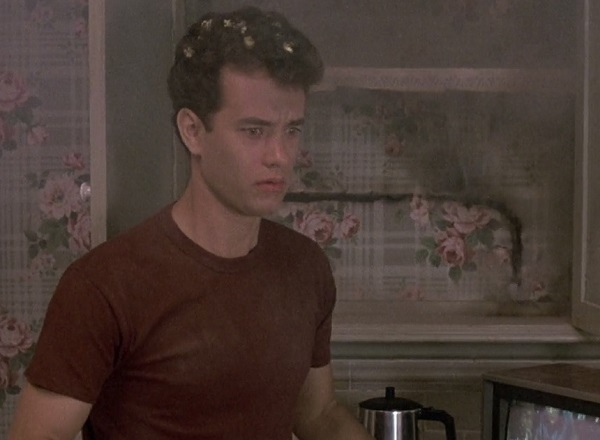 It came out in 1986, two years after Tom Hanks exploded into Hollywood with Splash and two years before he became a star with Big. He was still trying to find his instrument as a comedic actor, and it really shows. The film is one joke stretched out for 90 minutes. A young couple gets bamboozled into buying a giant house that is literally falling apart around them. They have to pay obscene amounts of money to get building permits and fix the house over the course of many months. The 1991 film Father of the Bride is a remake of a 1950 comedy of the same name. It tells the story of a father who must come to terms with the fact that his daughter is all grown up and she has a new man in her life who is destined to take his place as the center of her life. The movie is about spending excessively for a good cause. The father wants his daughter to be happy, but he feels powerless as the marriage machine goes into overdrive and his wife and their flamboyant wedding coordinator make all of the decisions. Any attempt he makes to save money ends in disaster, whether it’s reusing his old tuxedo or refusing to pay for all 10 hot dog buns in a package when he only needs eight. This film falls into a similar category as The Money Pit, but I find it less painful to watch because of the adorable performances by all the lead actors and the fact that it has some witty dialogue and genuinely funny jokes throughout. 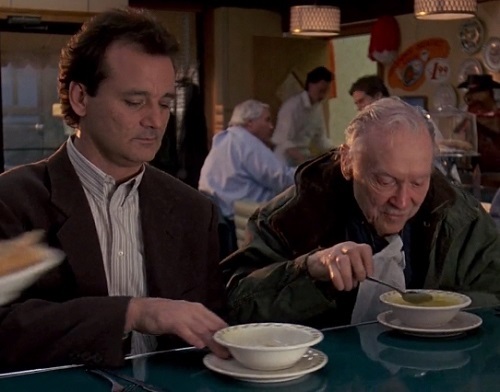 In Groundhog Day, when Phil Connors finds himself stuck in the town of Punxsutawney, Pennsylvania, repeating the same day over and over, what does he do? He decides to enjoy himself. There are absolutely no consequences to anything he does, so why not punch the annoying idiot who won’t leave him alone, play chicken with a train, eat to his heart’s desire… and rob a bank. Phil perfectly times a bank robbery in a way that leaves him flush with cash and everyone else none the wiser. At first he spends his newfound fortune on fun and games. But over time he decides to do something different. Phil switches his perspective from self-indulgence to self-improvement. He pays good money to become an expert ice sculptor, pianist, chiropractor, and much more. He also buys Wrestlemania tickets to stoke the passion of a couple of newlyweds, feeds a homeless man night after night, and buys every insurance under the sun from his old high school friend. By improving himself in every conceivable way, he learns to think beyond his own needs and to see all the good he can do for others. It’s a wonderful lesson, and it was all made possible by a couple of absentminded armored-truck drivers. One more remake. Mr. Deeds came out in 2002 and it’s based on the 1936 Frank Capra film Mr. Deeds Goes to Town. Both versions tell roughly the same story about a nobody who inherits an incredible fortune ($20 million in 1936; $40 billion in 2002) and suddenly gets to live the high life. In both cases, Mr. Deeds is an inherently good man who just wants to do right by himself and others with his fortune. In the end, he finds the most joy by using his money to make life better for everyone around him. Mr. Deeds is kind of a nice in-between film compared to Brewster’s Millions and Groundhog Day. It shows what an already-decent man would do when gifted with more money than he could ever need. He sets out to do as many good deeds as he can with his money while also having a little fun with it along the way. Let’s end with an interesting reversal. 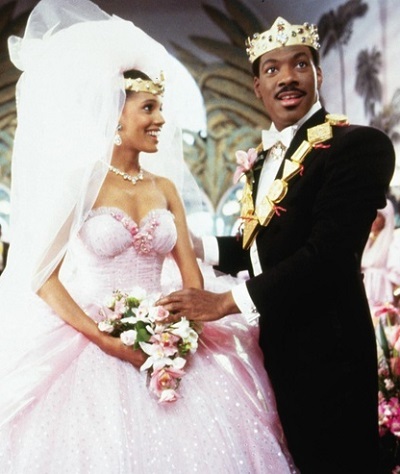 The 1988 Eddie Murphy comedy Coming to America is totally different than the rest of these films about reckless spending. Murphy’s character is the crown prince of an African nation, so he’s never known anything but fantastic wealth. He does the opposite of what just about everyone else we’ve talked about does and he tries to come across as poor. After arriving in New York, he gladly parts with his expensive clothes and jewelry and takes up residence in the lowliest apartment he can find. He pays a great deal of money to keep his wealth hidden from the gaze of a woman he’s trying to woo. Murphy’s character is so good. He has the purest heart, and all he wants to do is find a woman who will love him for who he truly is and not for his wealth. It’s really funny watching him struggle to navigate the New York dating scene and slowly win the heart of a young woman who is clearly perfect for him. The moment when he raises the veil on his bride, at the end of the film, is priceless. All of these films have a happy ending. The main characters all end up with a huge fortune and a beautiful woman by their side. It just goes to show that money might not be able to buy happiness, but when all is said and done, money simply enables people to be who they truly are. If a man is a complete jerk, money will amplify his ability to be rude. The reverse is true of a kind man. Everyone in these films learns a valuable lesson about themselves and how they should use money in the future. If only we could all be so fortunate. This entry was posted in Random Stuff and tagged 1980s, adam sandler, bill murray, brewsters millions, cash, comedy, coming to america, dollar, eddie murphy, father of the bride, films, groundhog day, money, money pit, movie remakes, movie review, movies, mr deeds, relationships, richard pryor, romance, steve martin, tom hanks, wealth. Bookmark the permalink. Yes I can indeed, to answer your question, if one could imagine what it would be like if $$ was no object. I remember in the theater at the end of Brewster’s Millions everyone applauded a collective sigh of relief when he made the midnight deadline just at the last second. I had no idea Karl from Die Hard was in The Money Pit! It’s not enough to make me watch it though! He’s easily the best part of the movie, but yeah, there’s really no good reason to ever watch that movie again.